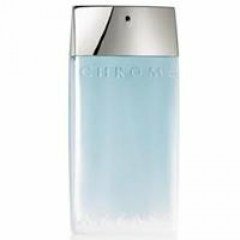 Chrome Sport is a perfume by Azzaro / Parfums Loris Azzaro for men and was released in 2010. The scent is aquatic-fresh. It is still in production. Chrome Sport is citric (light) green with a slightly "spicy" (ginger) touch, which however is discreetly reserved. I have never encountered such a feather-light composition before and I'm really excited. Because every other fresh scent has hardly a chance against this clean man. I have only tested or possessed 300 fragrances so far, but so far I have never met a fresher one than this one. Sure, "fresh" is relative and in the ratings, unfortunately, "fresh" is clicked on for almost every perfume, which leads this fragrance direction ad absurdum and certainly does not apply to so many. But in the case of Chrome Sport, every user would probably give it the attribute "fresh". Because that is simply his showpiece discipline. Who does not describe this scent as fresh probably already lives at a mountain stream flanked by a dew-fresh meadow. What a beautiful fragrance, what an unpretentious name! After a pleasant, light citrus note, a perfect sea scent develops for my nose. As when you come out of the water after swimming on a rocky coast, this slight algae smell rises from your skin and smells of spray, water and wind. Not much later a green note is added (I smell galbanum again), and also the cedar brings some grounding and warmth. The fresh part remains, it is the freshness of the sea and a penetrating vegetable freshness, like some essential oils, perhaps a hint of menthol? The musk soothes and rounds off. The citrus note is not as beautiful as at the beginning, synthetic takes over, but is not smelly on the skin anymore. All in all very refreshing without being cold and soulless. The sea chord is, by the way, far away from this Davidoff Cool Water note, which I don't like and which doesn't produce any sea association. I'd like something like that for myself, but I don't like to use men's scents...Anyway, I was looking for a gift for my treasure. A gap has recently opened up in his small collection (Puma Jamaica2 empty...) in the area of simple everyday companions, fresh, not too intense, not annoying, for work. You should give what you would like to have yourself, hopefully the spark jumps over. I couldn't stop sniffing my arm and the test strip alternately and the last 100ml bottle I could get hold of was already in the shopping basket. On paper, the freshness and the overall composition is maintained for hours. On my skin, a very beautiful mild aquatic note has strengthened again when I come into contact with water. The Chrome smells m.M.n. also completely differently, this one here is in the comparison also not so "perfumed" and more naturally. Conclusion: A great summer fragrance. And swimming in the sea is more than just sport. Lemon and ginger. That's all there is to it. Very refreshing and good for active, sporty type individuals like me. Chrome Sport will stay with you upon the duration of your workout or run. Don't expect more. 4 to 6 hours is a stretch. Definetely a must have because: smells great for a citrus, has a good lasting power, medium sillage and projection and it's cheap. Better and cheaper than the latest aquatic/citric/fresh releases. Opens with lots of grapefruit and other citric notes, then joins a little of ginger and dries down to a light cedar base.